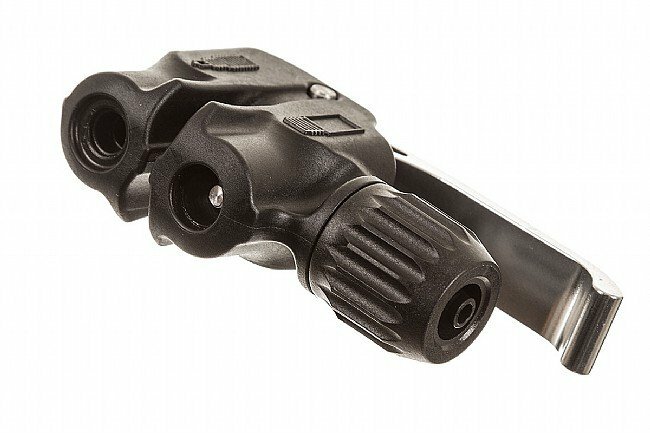 Lezyne’s Dual Valve Pump Head is made of durable Composite Matrix and aluminum construction. It features a large, ergonomic aluminum locking lever and a rebuildable design that allows for seals to be replaced. The Dual Valve Pump Head is compatible with all Lezyne high-pressure floor pumps and is excellent for Presta, Schrader, and Dunlop valves. This is the best pump head i have used. It secures to the valve superbly. When removed, releases the air only from the pump not the tube. Well built material . 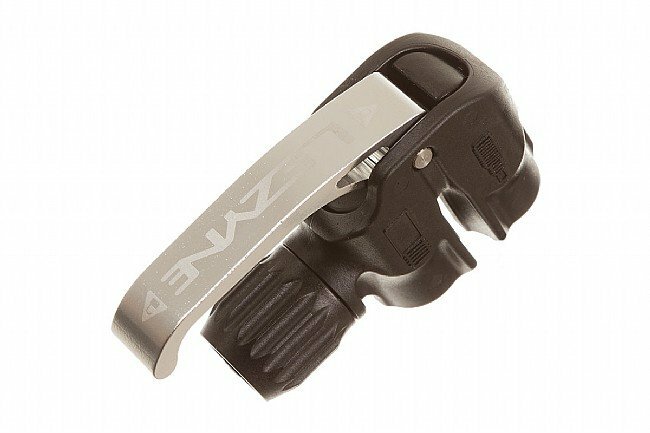 Works well with Lezyne pump which i have. Highly recommended. Yes, it will likely NOT fit your existing hose, you will have to go DIY on it to make it fit. Once you do, you will congratulate yourself on an excellent choice. Both the schrader and presta ports fit well on the valve, makes topping off the tire pressure a breeze. I find the two dedicated ports, one for presta and one for schrader far superior to heads with a single port that claim to fit both. The one I had one for some time, and while it worked ok, it always needed extra fiddling to make it work. Glad to be done with that. I prefer this head over the screw-on head that came on my Lezyne floor pump. This type eliminates the occasional accidental unscrewing of the priests valve core when removing after inflation. Another bonus this is quicker to use. On and off in a few seconds. My pump head broke. I needed a new one and saw this one. The head is well made and give a positive seal on both presta and schrader valves. I used this with a non-Lezyne pump, so I had to trim the hose to fit the head, but that is minor. Works great but does not fit on just any pump. First, do not count on hose on your pump fitting onto the pump head without work. Our pump, a Bontrager Charger, uses a smaller inside diameter hose than the Lezyne Head is made for. Took a few minutes of work to make the head fit the Bontrager hose. Once the head is installed, it works great. It does not compromise its utility by making one hole do two jobs inflating presta and shrader valves. Each type of valve has a hole in the head that works perfectly for it. The handle is stiff in action but workable. Best dual-valve pump head I've tried! I had to work hard to get this to mount on the existing hose of my Joe Blow, but it was possible. I only use this for presta valves, but it's nice to have the separate schrader for guests/kids. I suspect it will last longer than a push-on, due to less rubbing. It is a bit 'stickier' than the old head sometimes I have to put 150 lbs in the pump to get the valve to pop open, it could be a problem for light riders.